A little late on yesterday's post, as I wanted to get this photo of the end of New Year's Eve. 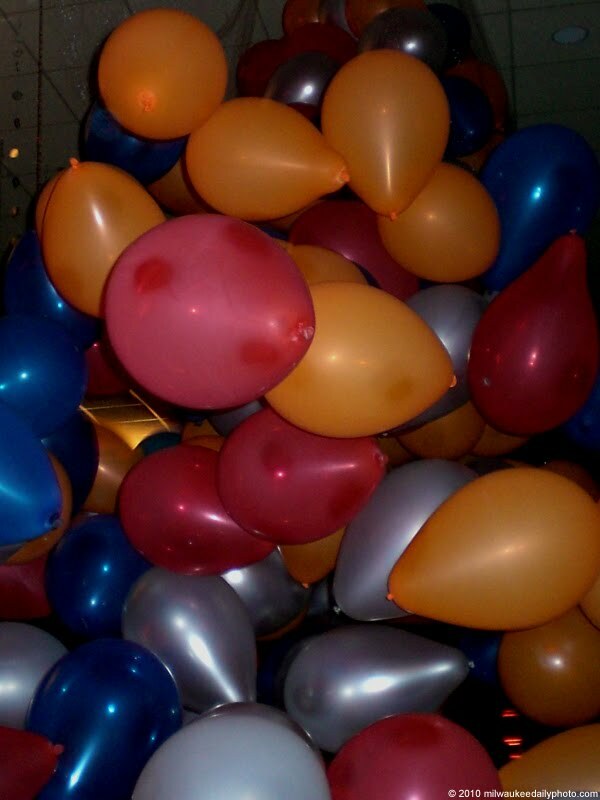 We were out celebrating, and we happened to be right underneath the balloon drop at the stroke of midnight. Wherever you celebrated, I hope you had a safe and enjoyable time. Here's to a better 2011!